You must do your homework when deciding where to put your real estate investment dollars. Aside from the well-known data analysis, there are other factors that can greatly influence your passive real estate investment experience. Here are seven things to consider when investing. One of the seven things to consider when investing is the capital appreciation outlook. Taking capital appreciation outlook into account helps ensure that when you go to sell or refinance your real estate property, you’ll be able to realize gains. There are at least two good indicators of capital appreciation; population growth and job growth. Supply and demand is the simple reason why population growth is such a strong market indicator. More people means higher demand for places to live. Higher demand raises property values. For instance, if you look at an area with high population growth such as Dallas-Fort Worth, you’d see that property values have increased incrementally right alongside population growth. AREI investors who got into real estate in the area back in 2012 and 2013 have seen equity gains as high as 100K. So the first thing you should look at when calculating potential appreciation is the rate of growth in the population. Another prime indicator for how a property or area might appreciate in value is job growth. For this, look at how many successful, large companies are moving into the area. If you follow where the Fortune 500 companies lead, you’ll find both job growth and property value appreciation. An influx of jobs always contributes to people migration from both internal and external sources. In turn, migration leads to population growth, which affects the aforementioned supply and demand. Currently, DFW is leading the nation in corporate headquarters, and hosts 22 (and counting) Fortune 500 companies. This, combined with the exponential population growth that’s projected to grow by 1 to 2 million by 2020, is what makes DFW a highly attractive area for real estate investors. There are also other cities with attractive job and population growth. Just be sure to factor in the following six other things to consider when investing. Cash flow is arguably one of the most common reasons why investors get into real estate. There’s an astounding amount of potential cash flow from a real estate investment. But the key word there is, potential. Not every property offers good cash flow. More importantly, not every property with good cash flow is a great investment. If you look at the cash flow for a property on a spreadsheet, you may initially be pretty impressed. Paper yields can be highly deceiving, though. It’s best to look up from the Excel sheet and see the bigger picture. That high cash flow property is more likely to be a risky investment. High yields always equal higher risk, and that is even more true—and dangerous—with real estate investing. So-called high return property investments may indeed pan out. But they have an equal or better chance of failing. Since high cash flow, high-risk investments are generally C class properties, only C class property managers may be available to care for them, and the level of care will likely be of a lower quality as well. This may even result in a degradation of the property that could eventually render it uninhabitable. In addition, C class properties won’t stand up to market fluctuations in either direction. Historically, they don’t withstand recessions, and they don’t appreciate in value along with higher quality properties. Finally, high cash flow C class properties nearly always have higher expenses in terms of vandalism, theft, breakdowns and even lawsuits. These are unexpected, unpredictable costs that won’t show up on a standard cash flow analysis spreadsheet. Nevertheless, they can instantly wipe out any gains you may have seen. A better way of evaluating cash flow for a potential real estate investment is to consider hidden benefits. For example, the tenant paydown on your loan is a significant benefit that should factor into your cash flow analysis. The principal payment on your mortgage is part of your profit, not an expense. And with a better class property, you’ll receive a higher rent, which equates to a higher monthly paydown. Even if you technically only break even on your investment, you’ve essentially gotten a valuable real estate asset for free. 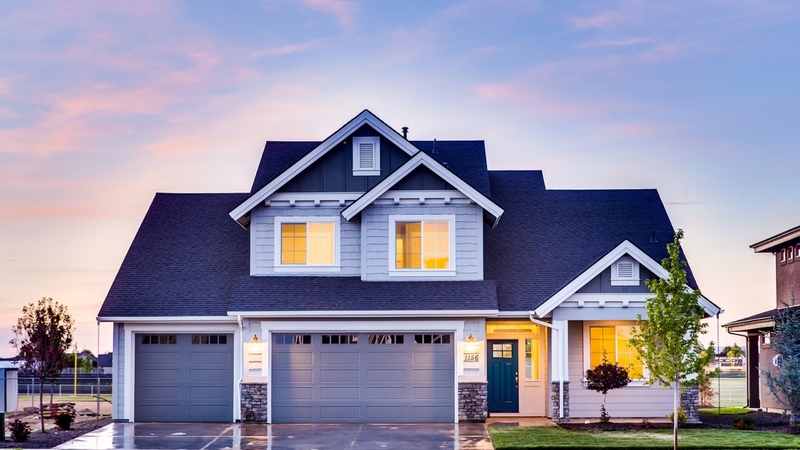 The tenant profile factor ranks right up there with the top things to consider when investing. With a higher quality property you’re more likely to attract and retain a tenant with steady employment, a higher salary and abundant disposable income. They are more likely to stay long-term because their job or kids in school necessitates it. They’re more likely to pay rent on time, less likely to damage the property, and more likely to become a valued member of the community. Cheaper, low quality properties are going to attract a very different tenant than an A or B class property in a great neighborhood. With a lower quality property, you’ll see a grim tenant profile. They pay rent late, have long intervals of unemployment between multiple jobs, and feel no sense of community responsibility. They may have a police record, damage the property, and will typically draw complaints from neighbors that will eventually land on your doorstep. They may even vacate without notification, leaving your property vulnerable to vandalism or worse. So you need to consider your tenant profile when considering a real estate investment. Think about what kind of tenant would want to live in that property, and plan accordingly. • State economy – is the state growing? Are people moving in to look for rentals? • Condition of property – is it in good shape, or is it barely inhabitable? • Tenant profile – will the property attract long-term, high-income tenants, or less stable tenant profiles? • Supply and demand – are there many competitors with similar available properties? Is there a positive population growth? • Local job market – are there sufficient local jobs available? Are more people moving to the area to follow the jobs? • Local regulations – is there an HOA that has veto power over prospective tenants? You can control some of these things, but not all. Real estate investing is not a cut and dried situation. But you can help improve your chances of making a good real estate investment by considering all these factors. When looking at a real estate investment property, consider the quality of the rehab on the property. Unfortunately, some rehab jobs are less than ideal. They may have been completed by someone who wasn’t fully qualified or by someone looking to cut corners at every turn. To protect yourself, arrange to get a third party inspection company to go in and give you a comprehensive report on any property you’re seriously considering. This will give you what you need to figure if more repairs or a new rehab needs to be done. It will also protect you in other ways, including permitting issues and financing approval hurdles. The other piece of the puzzle with regard to the rehab is maintenance costs. If the property wasn’t properly rehabbed, you’re going to be faced with a lot more maintenance costs. Things that were supposedly “fixed” might break down as soon as they experience normal use. A patchy roof job may look okay on the outside, but the rainy season will prove expensive. If you buy a property with a 19-year old furnace with just one year left on its legs, you’ll be left with the replacement cost. You should also know that C and D class properties are more likely to have astronomical repair and maintenance costs due to the tenant quality. The kinds of tenants that these kinds of properties attract are more likely to damage the property and less apt to maintain it. They may also not care about informing you or your property manager about problems like leaks or electrical issues. These tenants tend to keep messier homes, and they don’t have sufficient income (or inclination) to do general upkeep. It goes without saying that the opposite is true of tenants of A and B class properties. If you fail to look at the rehab job and realistically factor in your maintenance costs as well as how tenants affect the need for repairs, you could be looking at a sinking investment less than a year out from your purchase date. You can’t look at a passive investment strategy without looking at available property management. This is true whether you live near the property or whether it’s far away where you can’t get to it on a regular basis. With a property that’s close by, you need a property manager so you can have that passive experience; so you aren’t nickel and dimed every time the tenant has a question. You won’t have to collect rent, get contracts signed, interview tenants, do move-in/move-out cleanings, or anything else. If your property is in another state, you definitely need a property manager to handle all those things and more. The quality of your property manager significantly impacts your investment success. A quality property manager keeps your property rented out consistently with good tenants who pay on time and respect your property. A quality property manager takes care of needed repairs quickly and efficiently, ensuring that further damage is avoided. They keep you in the loop with reports, and treat your property almost as if it were their own. It’s unlikely that you will get any of that with a property manager that says they’re willing to manage C and D properties. The quality of the property and the quality of the available property managers go hand in hand. So if you take on a low quality property, you not only take on all the other risks associated with C and D class properties; you also get stuck with a property manager that will probably disappoint you. Before you invest in a property, take a hard look at what your exit strategy options will be. How will you fare when it comes time to get out of the property? Will you be at the mercy of other investors who want to swoop in and take advantage of your vulnerability? Or will you be able to turn a great profit and reap your due harvest for all your efforts? An exit strategy always needs to be in considered. Whether your original intent is to hold the investment property in the family for generations to come, collect rent throughout your retirement, or sell it as soon as the market goes up, never neglect planning an exit strategy. The list could go on and on. The point is, even if you planned something different, you may find yourself wanting to liquidate that asset quickly. The property class you invest in will factor heavily in your exit strategy. When contemplating your exit strategy, consider who your end buyer may be. If you have a C or D class property, your potential buyers are not going to be people who want to move their families in. They’ll be other investors who will be happy to tell you what the property’s worth instead of vice versa. They will scope your property in terms of cap rate, which may be highly unprofitable for you in terms of pulling cash out. Now, if you invest in A and B class properties, your buyer’s market is entirely different. You’ll be able to sell retail to families and single professionals who will owner occupy. They’ll look at the property features in terms of quality of life, and you’ll likely be able to get full retail market value for your investment. These are seven of the most important things to consider when investing in real estate. As you can see, all of these things are interrelated. For a truly passive experience, you’ll want to ensure that the positive aspects of all these considerations are in place.